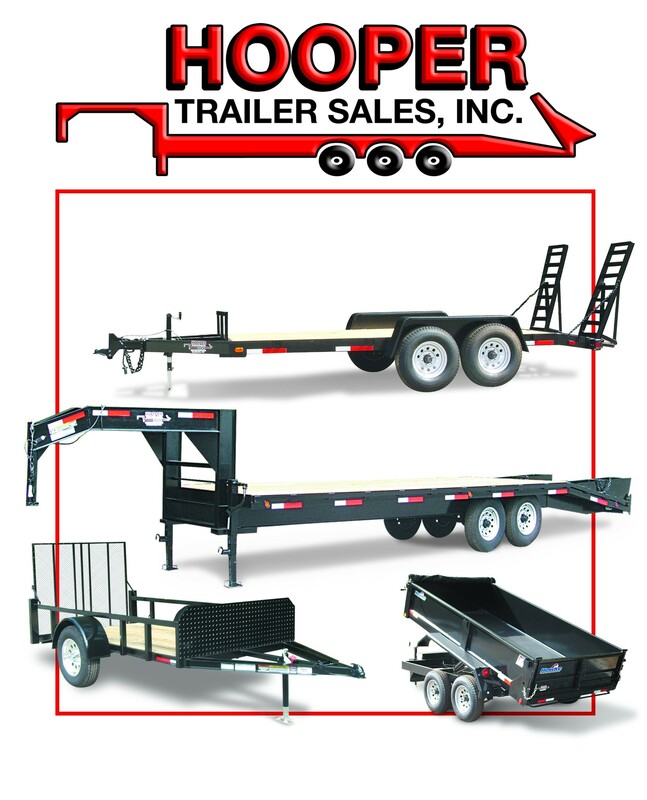 Hooper Trailer Sales Inc. is a family owned business that is proud to celebrate over 30 years of service. We strive to supply our customers with quality trailers along with competitive prices. We specialize in custom built flatbed equiptment trailers. We also carry cattle, horse, dump, and enclosed trailers. We offer a full one year warranty on all of our trailers. We truly take pride in our product and strive to make your experience with us a great one. We look forward to serving you with all your trailer needs. THREE LOCATIONS TO SERVE YOU!! !